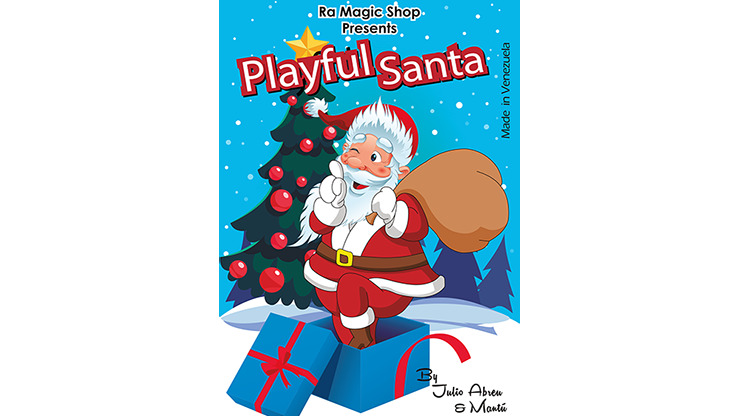 If you are looking for a holiday-themed effect with great audience participation, Playful Santa by Ra Magic Shop and Julio Abreu is the effect for you! You'll have kids yelling and screaming by the end of this effect! You show a packet of 9 reindeer cards, but the kids keep insisting they see a Santa card. After humorous byplay, Santa disappears from the stack, only to reappear attached to your back! The kids will go wild! Get your copy today and get ready for those enthusiastic reactions!